Goji Juice is one of the most notable plant offering the unbelievable benefits of Lycium Barbarum berries, Goji juice is one of the best kept secrets of the Himalayas. 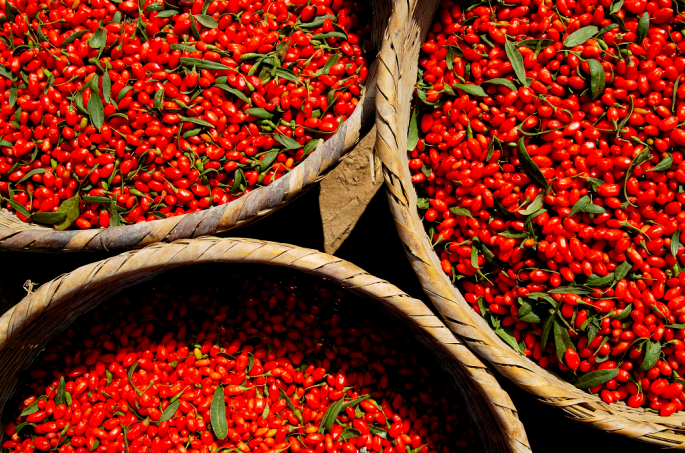 Though unknown to the outside world, Goji has been held in esteem in the ancient wisdom of China. The natives had benefited from the alkaline berry for over 3,000 years before its fame drew researchers and medical practitioners from outside. Goji juice is made from Goji berry which is also known as Chinese Wolfberry . Goji vines are grown in valleys of Himalaya,China and Mongolia. The alkaline berry is very tender and is locally known as "happy berry" because of the positive state it induces. The berry has also been used in traditional Chinese medicine for many centuries now. Looking for ideal Real Goji Clarified Juice Manufacturer & supplier ? We have a wide selection at great prices to help you get creative. All the 2017 Aseptic Bag Goji Clarified Juice are quality guaranteed. We are China Origin Factory of New Goji Clarified Juice. If you have any question, please feel free to contact us.